THE BEST ONLINE MAFIA CRIME GAME! It’s time to fulfill your family duty and live a life of crime in Mob Wars LCN. Work your way up the ranks of mobsters as you fight against MILLIONS of players in one of the most successful online mafia games of all time! ▶ Complete hundreds of dangerous and illegal jobs in over 30 cities! 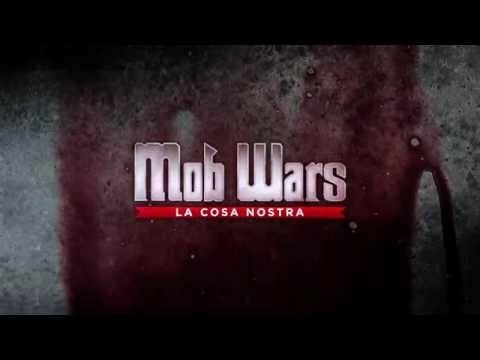 ▶ Fight powerful mob bosses and real players! ▶ Level up, choose your skills and customize your mobster! ▶ Chat with players from across the world! ▶ Recruit friends to grow your mob, form syndicates and battle rival cartels, street gangs and mobsters! ▶ Purchase real estate and grow your underworld empire! ▶ Thousands of unique weapons, armor and vehicles! ▶ Collect thousands of achievements! ▶ Craft your own super powerful weapons! ▶ Rank on global and social Leaderboards across multiple categories! ▶ New game content added weekly! 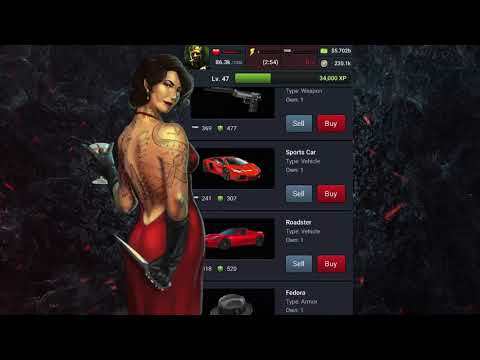 ▶ Free to play and no ads! Prepare to swindle, cheat, blackmail, and butcher your way to the top. You’ll soon become the don of the fiercest crime syndicate the world has ever seen! Note: this game can only be played while online. This update includes bug fixes and compatibility improvements. We always appreciate your feedback at http://support.kanoapps.com, and if you really wanna do us a favor, leave us a review! This update includes a new referral system, bug fixes and compatibility improvements. We always appreciate your feedback at http://support.kanoapps.com, and if you really wanna do us a favor, leave us a review! This update includes link sharing support, bug fixes and compatibility improvements. We always appreciate your feedback at http://support.kanoapps.com, and if you really wanna do us a favor, leave us a review! This update includes bug fixes and login improvements. We always appreciate your feedback at http://support.kanoapps.com, and if you really wanna do us a favor, leave us a review! This update includes bug fixes, sdk updates and removal of external storage requirement. We always appreciate your feedback at http://support.kanoapps.com, and if you really wanna do us a favor, leave us a review! This update includes an improved deep linking system along with bug fixes and improvements. We always appreciate your feedback at http://support.kanoapps.com, and if you really wanna do us a favor, leave us a review! This update fixes issues with crashes along with smaller bug fixes and improvements. We always appreciate input & bug reports at http://support.kanoapps.com, and if you really wanna do us a favour, leave us a review!